Garmin in talks to buy Navigon? It’s hard out there for a company making endangered gadgets. According to Reuters, flailing satnav maker Navigon could be acquired by none other than Garmin, which has struggled itself to maintain strong handheld navigator sales in the face of stiff competition from smartphones. The deal could be worth somewhere in the “mid-double-digit million” Euro range — a none-too-helpful estimate, but enough for us to understand that the personal navigator market is in such a state that Garmin could scoop up its rival for a pretty modest sum. Garmin, for its part, has been doing well, considering — it’s the top navigator brand in the US (a market Navigon long since exited), and its profit nearly tripled in the most recent quarter. That’s largely thanks to those bestselling navigators, but also because the company’s been wise enough to reinvent itself as a purveyor of running watches and GPS for boats. In any case, if the Navigon brand is going bye bye, it looks like we could find out as soon as this month. Garmin in talks to buy Navigon? 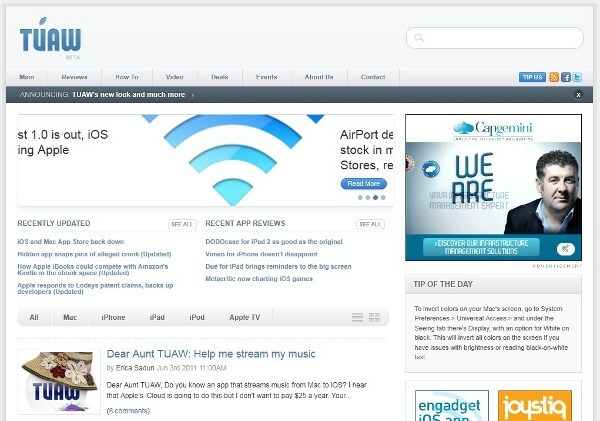 originally appeared on Engadget on Fri, 03 Jun 2011 18:17:00 EDT. Please see our terms for use of feeds. Introduce yourself to the brand new TUAW! Do you love TUAW? Well, we do, and not just cause we’re legally obligated to cherish our sister (site). If you haven’t seen her lately you should stop by and say “hi.” She’s sporting an entirely new look — you’ll love what she’s done with her nav bar — and picked up a few interesting new features like the ability to sort by platform and a carousel that automatically alerts you to updated posts (quite handy for stalking the Apple Store when it goes down). Don’t let that Beta tattoo fool you though, TUAW 3.0 isn’t fickle, she won’t change her mind at the drop of a turtleneck or ditch design changes willy nilly — these are big improvements and there’s a lot more to come. So go, reintroduce yourself, and catch up on what’s new with TUAW at the source link. Introduce yourself to the brand new TUAW! originally appeared on Engadget on Fri, 03 Jun 2011 17:42:00 EDT. Please see our terms for use of feeds. Much like the format war that once divided us between HD DVD and Blu-ray, a battle between two different types of 3D-capable HDTVs rages on while customers wait to be convinced that any of the new tech is worth the trouble. One of the first to enter the battlefield for the passive glasses side from LG is the LW5600, a slim edge-LED lit LCD model that is most notable for its extras. Besides featuring a Film Patterned Retarder (FPR) screen that plays back 3D viewable with the same RealD glasses you use at the movie theater, it’s a connected TV packing apps, Plex media streaming software and a “magic motion” gesture control remote. After perusing the spec list we couldn’t wait to see if more features actually made for a better HDTV experience and if passive 3D is a competitive option for home viewing, so check after the break to see how we felt about it after a few hours on the couch. 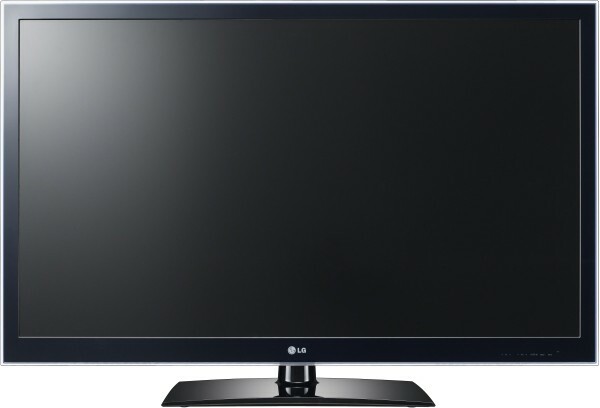 LG LW5600 3D LCD HDTV review originally appeared on Engadget on Fri, 03 Jun 2011 17:10:00 EDT. Please see our terms for use of feeds. This entry was posted on June 3, 2011, 6:37 pm and is filed under Mobility. You can follow any responses to this entry through RSS 2.0. Both comments and pings are currently closed.